The Shark Red shows a deer reddish purple color that reminds me of the garnet in the colors of Florida State University. To the nose the Shark Red brings vanilla, figs and the aroma of crushed blackberries. Shark Red presents the taste of vanilla, blueberries, blackberries and woody oak to you. This is a smooth but firm blend of mostly Syrah and Petite Sirrah grapes with Mouv, Grenache, Merlot and Malbec grapes playing a supporting role. It is really an everybody in the pool blend, but it works well. The wine is aged for seven months in older oak barrels to give it the balance between acid and tannins. 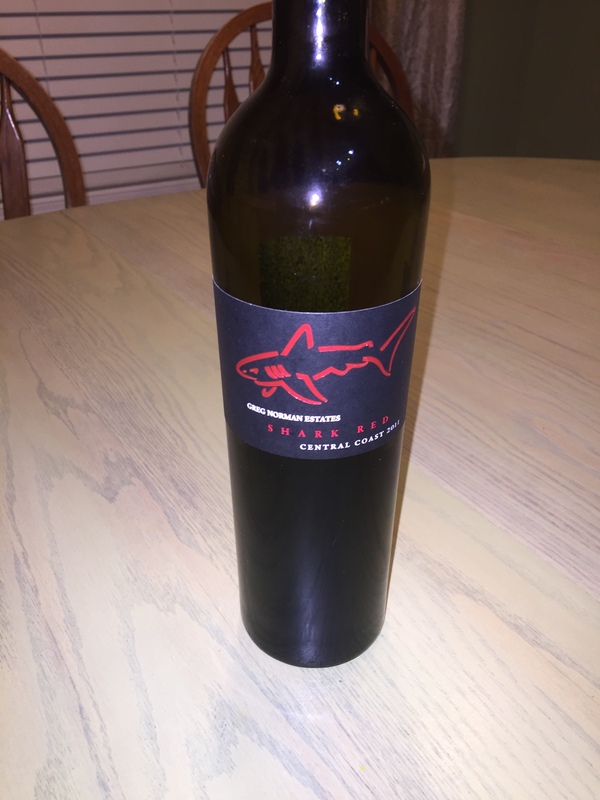 A product of the Paso Robles area of California, Shark Red makes a great choice to serve to friends before dinner or after a round of golf, but what would you expect from Greg Norman.